I’ve been in a crafting mood! 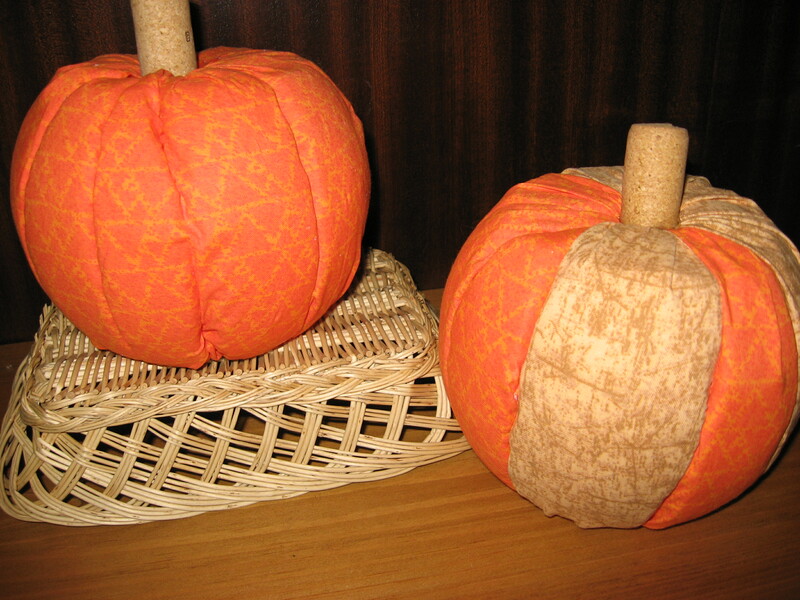 I just love the fabric pumpkins I’ve been seeing and had to make some of my own. But, of course, I had to do it cheaply! I purchased 2 styrofoam balls at Walmart for $3.97 each and 2 fat quarters for $ .97 each. There are lots of tutorials out there for making these, but one of my favorite blogs is CraftsnCoffee. The crafts are virtually all styrofoam crafts. She tells you how to make the pumpkins HERE. The one change that I made was using wine corks for the pumpkin stems. I was really happy with how these came out and they are definitely a decoration that will carry through the entire autumn season. This entry was posted in General Crafts. Thanks for the shout-out, Carrie! I love your pumpkins, and the wine cork stems are brilliant. Craft on!